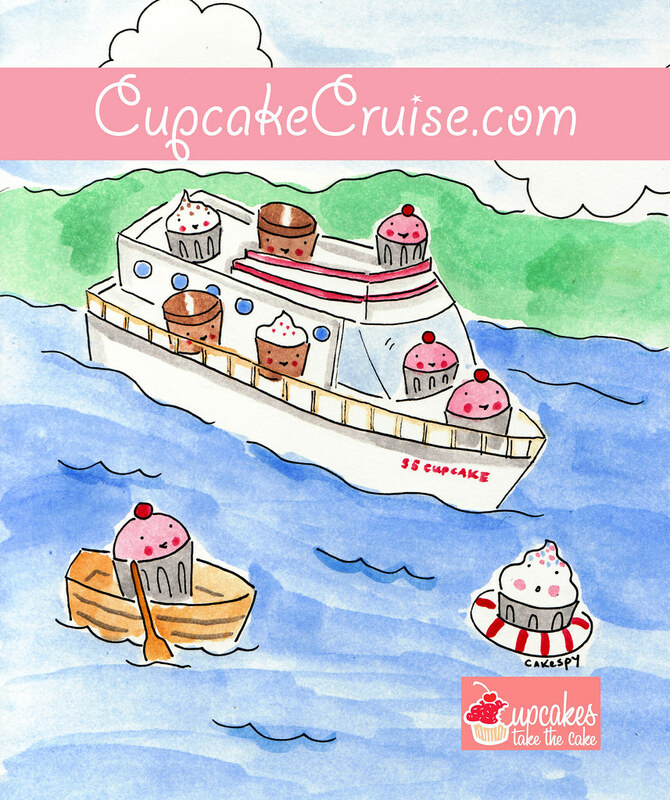 Cupcake Cruise 2012 to Bermuda tickets on sale now! Just a reminder that our 2012 Cupcake Cruise to Bermuda, August 19-26, 2012, featuring Nichelle and Rachel of Cupcakes Take the Cake, Karen Tack and Alan Richardson, authors of Hello, Cupcake! and What's New, Cupcake?, Red Hook and Charleston Baked bakery owners Matt Lewis and Renato Poliafito, authors of Baked: New Frontiers in Baking and Baked Explorations, and Alison and Matt Robicelli of Brooklyn cupcake bakery Robicelli's, plus many more special guests to be announced! Stay tuned to @cupcakecruise on Twitter and Cupcake Cruise on Facebook for more information. You can now put down a deposit to reserve your spot. The indoor staterooms are $999 per person and you can see other prices on the site. You can book your tickets on the site or by calling 800-828-4813, and you can email info at cupcakecruise.com if you have cruise-related questions.